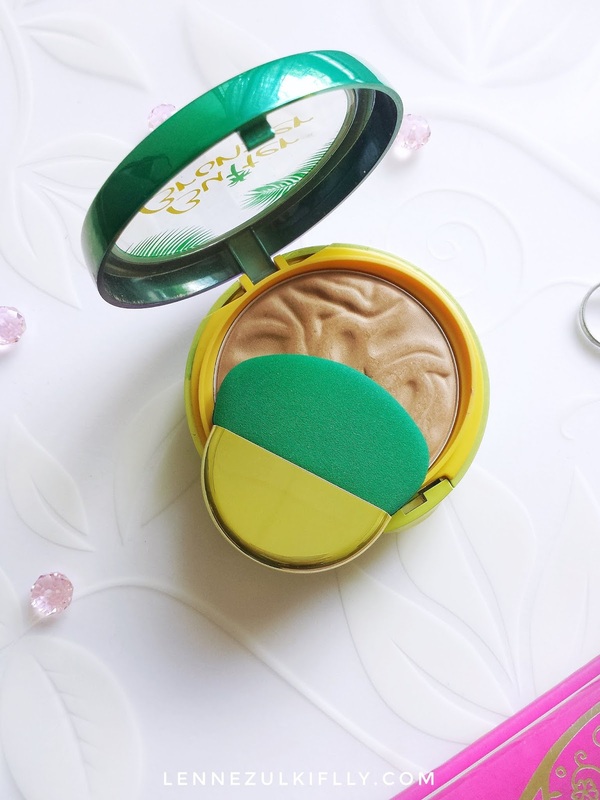 Physicians Formula Butter Bronzer | Is It Worth The Hype? Hello everyone! 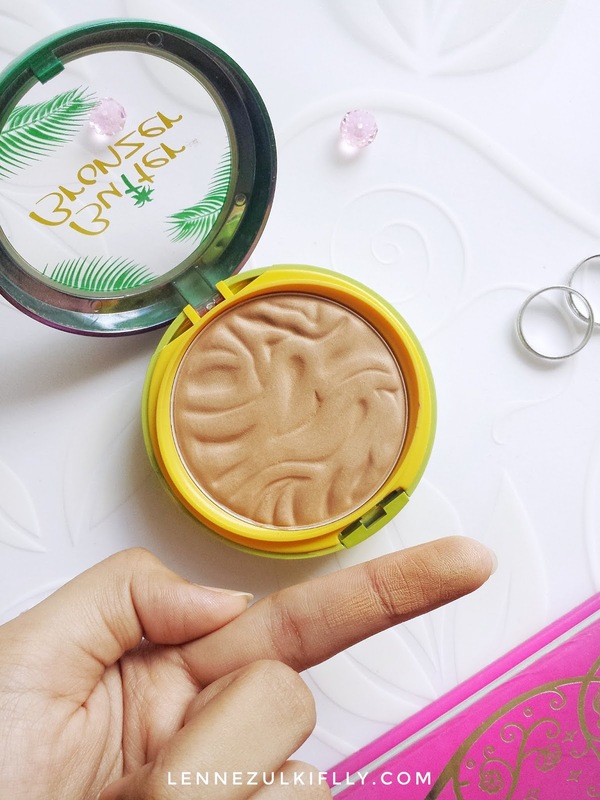 I finally gotta do a review for this over-hyped-by-lots-of-bloggers-and-youtubers bronzer. You see, I'm not much of a bronzer kinda girl but my favorite YouTubers, Tati and KathleenLights approved it so Imma buy it. I spotted this Physicians Formula Butter Bronzer on my trip to Watsons at IOI City Mall. 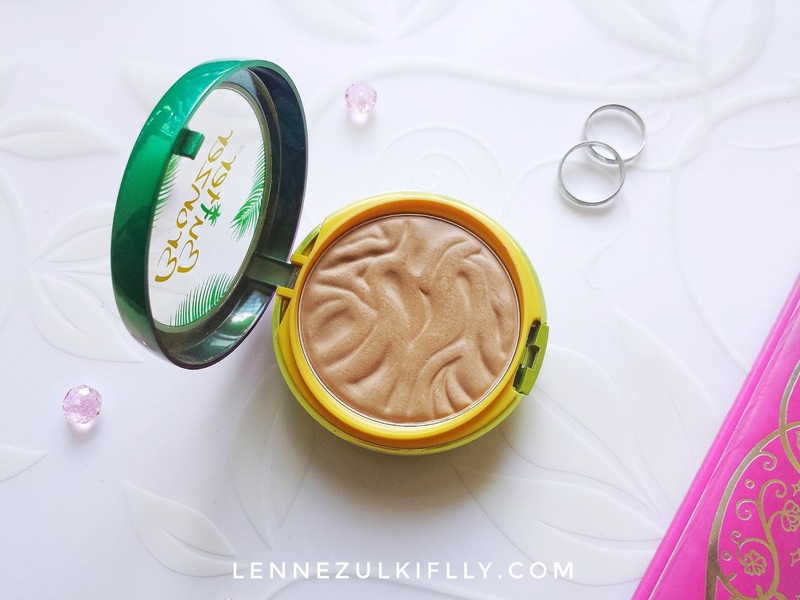 I was so excited to try because I haven't been in the bronzer state for such a while, so I think it's about time (and of course, it's because Tati and Kathleen love it to the core). Physicians Formula Butter Bronzer retails for RM 65 for 11 grams of product, maybe a little cheaper or pricier depending on which drugstore you get them at. I got this in the shade Bronzer (they have another lighter shade called Light Bronze if I'm not mistaken). This bronzer is infused with Murumuru Butter to deliver a radiant goddess glow, smooth skin texture and brighten skin tone. 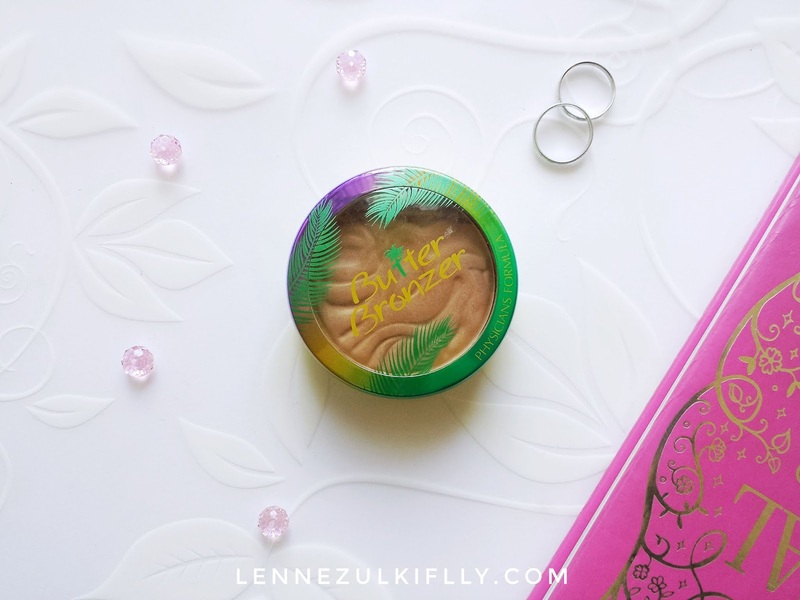 Physicians Formula Butter Bronzer comes in an adorable, gorgeous see-through tropical vibe compact with some palm leaves detailing. It has a button to press on the outside that clicks the compact open. The moment you open it you will see the bronzer (aside from the scent) and after lifting up the bronzer part, you will find an odd sponge applicator (that I honestly don't even use) and a mirror. Overall, it's a nice packaging to display but quite bulky. Oh my goodness! The scent is too powerful even if the lid is tightly closed, you will still smell it. It is too overpowering to me. No, I'm not saying the scent is awful. It's amazing, if I'm being honest. It smells like coconut mixed in with chocolate and it reminds me a lot of beaches and tropical island. Amazing, right? But the fact that it's so strong and you can still smell it even after a few minutes of application, I cannot fathom it. It's loaded! If you're sensitive to strong fragrances in a cosmetic, you might want to steer clear of this one (I should take my own advice). The texture is so divine! I love how soft and creamy it is to the touch, which I think this bronzer stays true to it claims. It is a cream-to-powder formula that blends nicely into my skin. A little heads up for y'all out there that doesn't like a bronzer with a little bit of sheen and micro glitters, again, you might want to steer clear of this bronzer. I personally think it's super gorgeous and adds up a really nice glow-from-within. The color is nice, it leads more towards the natural side rather than warmer or grey-ish tone on my skin. It's not extremely pigmented, which I find great for bronzers (as well as blushers and contours) because it allows you to control and build the color up to your desire. However, I have to say that if you have a darker skin tone than I do, I'm afraid it will not show up on your skin at all. Even with my skin tone, I have to dip in to the bronzer for more than 3 times and keep layering and layering. I know. I absolutely think this bronzer is a beaut. 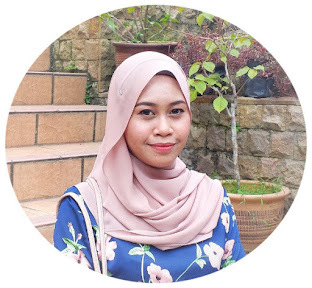 It applies well, blends beautifully and stays on the face the whole day. From the times I have used this so far it has an amazing staying power and doesn't get muddy throughout the day. It appears beautifully on the skin with I believe a semi-matte finish. It's flattering. It never fails to bring back life to my skin. Lots of good makeup days with this one! It breaks me out like cuh-razy! It is almost impossible for a powder product to have this kind of reaction on me but this one sadly, does. I really think it's because of the strong scent. It's loaded and apparently, my skin hates it. I don't know if I will be using it in the future or not but as of now I've stopped completely. With that aside, if you're in the hunt for a new bronzer to add to your collection, I'd say give this one a try. Try it for yourself, it's a great experience for me (except for the part I'm breaking out). I hope you enjoy today's review! See you in my next post. Yea I know the one you're talking about. It's crazy blinding! 😍 I hope to get my hands on that but I already own so much highlighters oh my goodness!